Apple just update their web with new Education section. 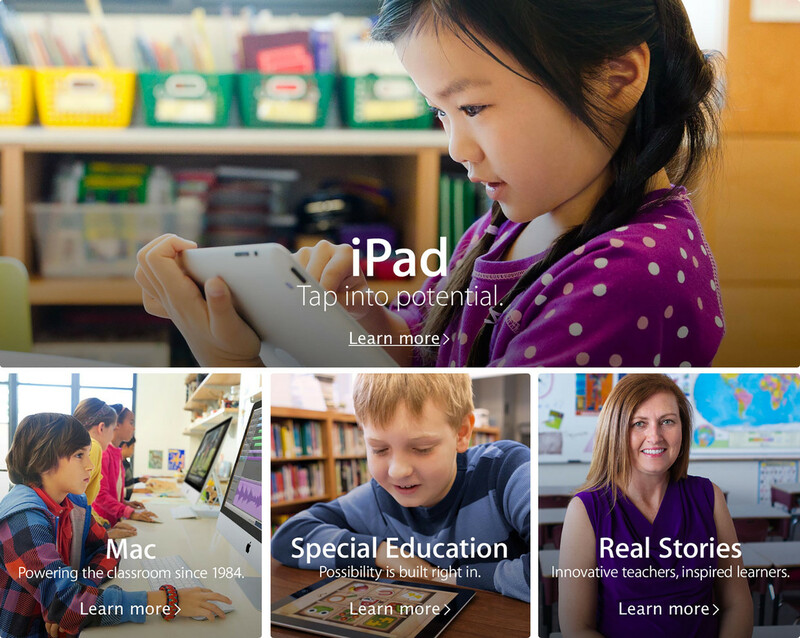 We believe that technology has the power to transform the classroom. It can pave new ways of thinking. New ways of sparking ideas. Yet the foundation never changes: A dedication to learning that’s always been part of our DNA. We’ve been proud to work alongside educators and students to reinvent what it means to teach and learn. And together we’re doing things we never thought possible.